Army Group Center’s post-Kursk circumstances were arguably even more perilous than those of Army Group North. When the general Russian offensives began in that sector, 3rd Panzer Army on the far left had not a single armored vehicle under command. Its neighbor, 4th Army, began the battle with 66 assault guns against almost 1,500 Soviet AFVs. The Germans nevertheless executed a fighting retreat into White Russia despite the Red Army’s desperate efforts. Companies were commanded by sergeants; local reserves were nonexistent, and replacements were a forlorn hope. As early as September 8, one army commander reported the total combat strength of his infantry was fewer than 7,000 men. A month later Kluge contacted Hitler directly and pulled no punches informing him that no general could command without men, weapons, and reserves. The Russians had all three. Things might have become far worse had the Red Army in this sector not regressed to tactics making the Somme and Passchendaele appear sophisticated by comparison. Massed infantry, massed armor, and massed artillery hammered at the same points time after time, until nothing and no one remained to send forward or the Germans gave way. The German plight was compounded by a well- coordinated partisan uprising in their rear. The army group had been preoccupied with holding its front since 1942. Now it faced an exponentially increasing number of strikes against communications systems and railroads. Security forces responded with large-scale, near-random executions and, as the front receded, scorched earth—when anything remained to scorch. This was no mere torching of villages and looting of houses. It involved the systematic destruction of militarily useful installations. In total war that meant anything. What was not burned was blown up. Thousands of civilians were “evacuated,” a euphemism for being driven west with what they could carry, with the alternative of risking execution as partisans or being shot at random. Files named “Protests” and “Refusals” are conspicuously absent from otherwise well- kept German records. What was important to senior officers was that the devastation be carried out in order and under command. German soldiers were not mere brigands. The fight of Army Group Center was largely a foot soldier’s affair—with the by-now usual and welcome support of the near-ubiquitous assault guns. At the beginning of October the army group’s order of battle included a single panzer division itself reduced to battle group strength, and two panzer grenadier divisions in no better shape. Those figures remained typical. Yet ironically the panzers’ major contribution to the retreat played a large role in setting the scene for future debacle in the sector. It began in March 1944 when the Red Army enveloped the city of Gomel and its patchwork garrison of 4,000 men. Gomel was a regional road and rail hub, as much as such existed in White Russia. Hitler declared it a fortress; the High Command supplied it from the air and ordered its immediate relief. Initial efforts were thwarted by soft ground and the spring thaw. But after 10 days a battle group of SS Viking fought its way into the city. It required 18 hours and cost over 50 percent casualties. The lieutenant commanding received the Knight’s Cross. The hundred-odd surviving panzer grenadiers were welcome. The half-dozen Panthers were vital in holding off Soviet armor while LXVI Panzer Corps put together a relief force from an already worn-down 4th Panzer Division and a battle group built around what remained of Viking’s Panthers. The combination broke the siege on April 5, though it was two weeks before the link to the main front was fully reestablished. The defense of Gomel solidified Hitler’s conviction that he had found a force multiplier. Gomel was on a small scale. But if larger “fortresses” could be established and garrisoned, under orders to hold to the last, the Soviets would be drawn into siege operations that would dissipate their offensive strength while the panzers and the Luftwaffe assembled enough strength to relieve the position. Army Group Center considered the idea good enough to be the best available alternative. The operational consequences of shifting to this fixed-defense approach would be demonstrated within months. The southern sector of the eastern front saw far more armored action than the other two in the months following Kursk. The Red Army’s performance was also exponentially better. Most of the best Soviet tank generals had been sent to that theater to see off the Kursk offensive and to prepare for the series of strikes expected to—finally—destroy German fighting power in south Russia. It began on July 17. First Panzer Army and the re-created 6th Army initially held positions along the Mius River. Manstein planned a coun terstrike, using Das Reich and Leibstandarte to stun the Soviets on 1st Panzer Army’s front, then shifting them to 6th Army’s sector to join Totenkopf and 3rd Panzer in a larger concentric attack. When Hitler forbade it, Manstein borrowed the words of General von Seydlitz from two centuries earlier: His head was at the Führer’s disposal, but while he held command he must be allowed to use it. Eventually, reinforced by a total of five panzer and panzer grenadier divisions, 1st Panzer Army did mount a tactically successful counterattack. But Manstein still faced over two and a half million men, 50,000 guns, 2,400 tanks, almost 3,000 aircraft. Purists sometimes suggest that Stavka should have used this overwhelming superiority to generate battles of encirclement, panzer style. But Stalin remembered all too clearly how Manstein had thwarted a similar approach after Stalingrad. At front and army command levels there also seems to have been a near-visceral desire to smash an enemy that had so often embarrassed them, and to do it with strength the Germans could not hope to match. Even airborne forces were thrown into the operation. Ninth Army, 4th Panzer Army, and Detachment Kempf, rechristened 8th Army but with the same resources, paid the bill. Model secured Hitler’s permission for a fighting retreat from the Orel salient as part of the general withdrawal of Army Group Center. Fourth Panzer Army was split into three parts by the Soviet onslaught, each fighting its own desperate battle. Useful reinforcements were few—the 8th Panzer Division arrived with no tanks. A staff officer at Army High Command confided—but only to his diary—that the end might come before the new year. Manstein had to fight Hitler almost as fiercely as the Russians to secure permission to do anything but “hold, hold, hold!” Guderian cattily observed that Manstein was inappropriately tentative in the Führer’s presence. In fact Army Group South’s commander not only insisted that disaster awaited were he not allowed to fall back to the line of the Dnieper River, but on September 14 he declared that he would issue the orders the next day on his own responsibility. Hitler conceded defeat. The success of the retreat depended on the panzers. Materially Manstein was playing a handful of threes. In contrast to Kursk, there were few chances to recover and repair damaged tanks. Casualty evacuation was random. Units constantly on the move meant stragglers were usually lost for good. It took two weeks to reach the Dnieper. By that time Army Group South counted fewer than 300 serviceable tanks and assault guns. The average infantry division’s frontline strength was around a thousand men. Its average front was twelve to thirteen miles. Even Tigers felt the strain. 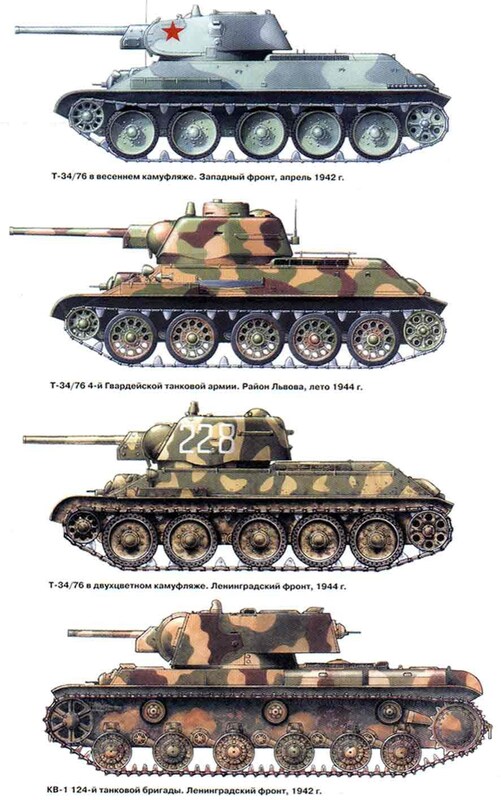 In the course of the campaign, Army Group South’s single battalion of Panzer VIs was increased to four. But their commanders complained the Tigers were victimized by their reputation: thrown in piecemeal, shuttled from sector to sector, denied time to maintain the complex and sensitive vehicle. Too often they were used as mobile pillboxes. Too often their infantry support was nonexistent or ineffective. The tankers ascribed that last to poor training and low morale. From the infantry’s perspective, it was often common sense. 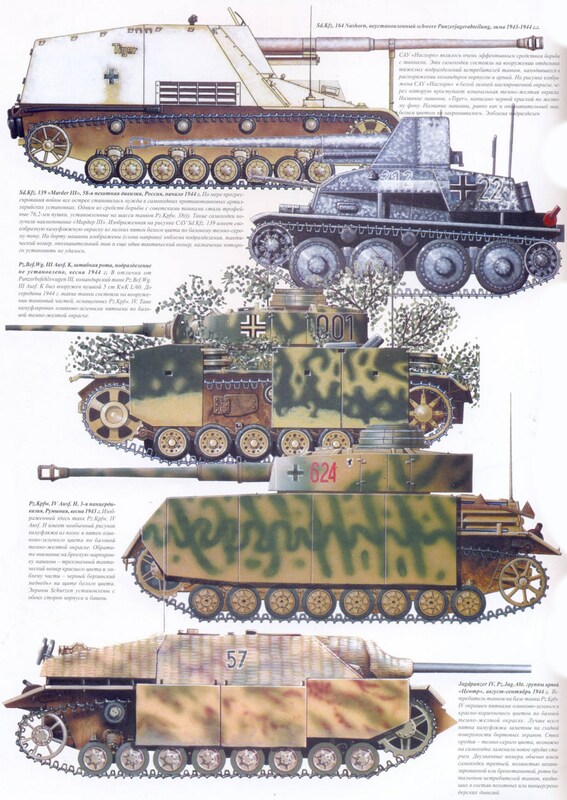 The Tiger was essentially different from the familiar assault guns, whose low silhouettes and maneuverability enabled them to seek ambush positions and use cover—almost like a Landser on treads. The Tigers were big. They drew fire like magnets and attracted Soviet tanks like flies to manure. Any smart rifleman—and slow thinkers had short life spans in the autumn of 1943—was likely to avoid them rather than take the risk of providing close-in protection. As they fell back, the Germans scorched the earth. That is a polite military euphemism for a swath of devastation covering hundreds of square miles, sparing nothing and no one except by accident. “They are burning the bread,” Vatutin admonished his men. Few Soviet soldiers did not know what hunger felt like. Small wonder the Russians succeeded in throwing bridgeheads across the river. Small wonder that the Germans’ best chance of holding was to destroy them before they could metastasize. And small wonder that they failed. On November 3 the 1st Ukrainian Front began crossing the Dnieper in force around Kiev, on Manstein’s northern flank. Fourth Panzer Army’s few remaining AFVs foundered in the Soviet tide. The 25th Panzer Division, sent to restore the situation, had spent most of its existence in the peaceful surroundings of Norway. Botched transportation schedules temporarily made it a panzer division with no tracked vehicles at all. Yet the division managed, somehow, to halt an entire tank army and set the stage for another of Manstein’s signature counterattacks. This one would be made without Hoth, summarily dismissed by Hitler for his failure to hold the river line. His replacement represented no loss in ability. Erhard Raus had been tempered in the front lines from Leningrad to Kursk. Tactical command of the counterattack was in the arguably even more capable hands of Hermann Balck, now commanding XLVIII Panzer Corps. Even the weather obliged, freezing the mud to stability by the time Balck went in. Hitler had rejected Manstein and Guderian’s proposals to concentrate every tank in the southern sector for a short, massive blow. Forty-Eighth Panzer Corps counted only 200 tanks and assault guns, but they were manned by some of the Wehrmacht’s best, divisions like 1st Panzer, 7th Panzer, and Leibstandarte. For three weeks they ran rings around the baffled Rotarmisten. 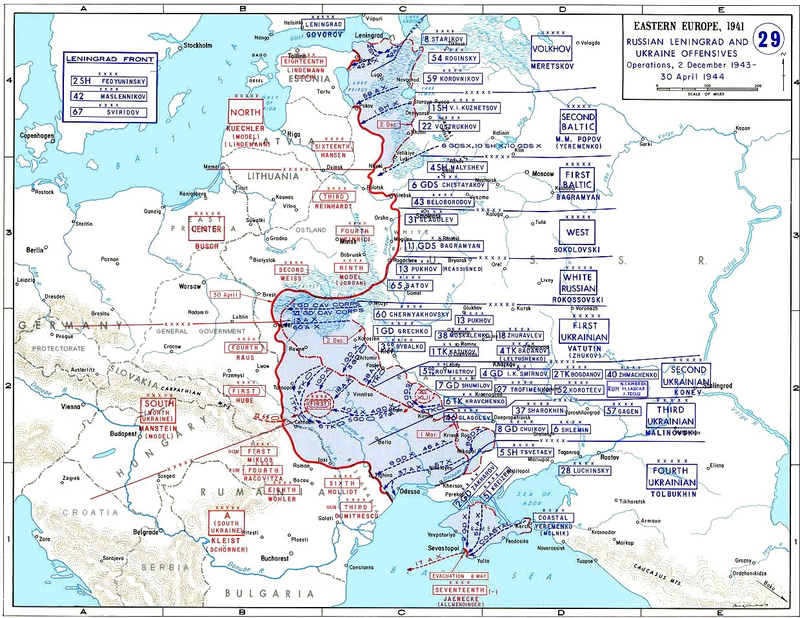 Balck’s corps was on the point of executing 1941-style encirclement when a captured map showed the intended pocket contained no fewer than seven Soviet corps. Even for the intrepid Balck, that was a bit much. And despite virtuoso German performances from corps headquarters to tank crews, the Soviet bridgehead was still intact. Further south, 1st Panzer Army and Army Group A, whose sector had been relatively quiet since the withdrawal from the Caucasus, came under increasing pressure in mid-August. Initially it was possible to plug gaps and secure flanks by using available AFVs as emergency relief. But when an eagerly awaited panzer division turned out to consist of seven tanks and an under strength panzer grenadier regiment, operational reality had an unpleasant way of unmistakably asserting itself. The situation was worsened in 1st Panzer Army’s sector, where Hitler had ordered an already dangerously deep salient where the Dnieper bent west at Zaporozhye to be expanded to a bridgehead—not for military reasons but to protect a dam producing electricity described as vital for the industry of occupied Ukraine, a dam that was also widely understood to symbolize Soviet achievement. The extended deployment required to sustain this propaganda illusion drove Manstein to near-wordless fury. It took only four days for the Red Army to overrun the bridgehead in mid-October. The resources it had absorbed were unavailable to resist a far larger attack against 6th Army on 1st Panzer’s right: over a half-million men and 800 tanks against a fifth of the number of armored vehicles, in wide-open country. By the beginning of November the Crimea was isolated and Army Group A cut in half. The Russians were learning how to keep moving tactically and operationally, and figuring out how to coordinate their movements on a theater level. On October 15 another sledgehammer shattered 1st Panzer Army’s left wing, and in 10 days covered the 100 miles to Krivoi Rog. On October 24 a second front-level offensive broke out of another Dnieper bridgehead a few miles south of the first. Mackensen, anything but an alarmist, reported the gap could not be closed, that his exhausted men had no more left in them. Hitler responded by giving Manstein control of 1st Panzer Army and a temporary free hand. This time Manstein planned a movement. A panzer corps headquarters rotated from his army group through 1st Panzer Army’s rear zone into position on its left flank. It took command of Totenkopf, of 24th Panzer Division, in Italy since its reformation after Stalingrad, and of 14th Panzer Division, another Stalingrad revival currently shaking down in France. On August 28 this hastily assembled force drove southeast, into the Soviet rear toward Krivoi Rog. Mackensen’s LVII Panzer Corps attacked in the opposite direction two days later. Both operations took the Russians by surprise and succeeded in linking up to cut off the Soviet spearheads and restabilize the sector. It was another neat local victory, and Mackensen’s last fight in Russia. On November 4 he was transferred to Italy, replaced by a no less capable man. Hans Hube had lost an arm in World War I, led a panzer corps with sufficient distinction to be flown out of Stalingrad, and done well against the British and Americans in Sicily. He had a reputation for willpower and energy. He would need both in the face of still another coordinated Soviet offensive in what again seemed overwhelming force. The Soviet Union had paid for its successes against Army Group South with over 1.5 million casualties, a quarter of them dead or missing. The German front still held—barely—but its defenders were so tired and apathetic that in the words of one report, they no longer cared whether they were shot by the Russians or their own officers. And this was the elite Grossdeutschland Division, which enjoyed its own personal battalion of Tigers. On December 24 the Red Army struck again: four fronts, 2.25 million men, 2,600 tanks. Fourth Panzer Army was again hammered into fragments, each making its own way west as best it could. Manstein almost by reflex saw the best response as shortening the front and concentrating his armor for a counterattack, as he had done after Stalingrad. When Hitler refused, Manstein, on his own responsibility, pulled 1st Panzer Army out of the line and redeployed it on 4th Panzer’s right. Hube had his own III Panzer Corps, XLVI Panzer Corps transferred in haste from France, and a provisional heavy tank regiment with a battalion each of Tigers and Panthers, plus some attached infantry and armored artillery. His counterattack cost the Russians a few tens of thousands of men and around 700 tanks. It was a victory—but only in the most limited tactical sense. The experiences of Mackensen and Hube showed clearly that even in reasonable strength the panzers could do no more than restore local situations. Both counterattacks, moreover, had depended for half their striking power on divisions transferred from the west. How long would it be before Allied initiatives made that impossible? Any doubts that the balance in armored war had definitively shifted should have been dispelled by the Battle of the Cherkassy Pocket. The Germans still held a 100-mile stretch of the Dnieper north of that city. Hitler projected its use as a springboard for a proposed spring offensive and forbade withdrawal. On January 24, two Soviet fronts hit the sector with a third of a million men, artillery, tanks, and aircraft in proportion. Inside of a week a half dozen divisions, including what was left of Viking, were cut off in the city of Korsun: around 60,000 men. Their armor support totaled two dozen tanks and half as many assault guns. Hitler, remembering Demyansk, ordered the pocket to hold and promised supply from the air. Those melodies were too familiar. Manstein, well aware of the morale-sapping fear throughout his army group that the pocket would become another Stalingrad, planned a major relief operation using no fewer than nine panzer divisions. Initially every one of the divisions he proposed to use was already engaged elsewhere in Russia, and one was literally stuck fast trying to move through early spring mud. The four divisions finally assembled under 8th Army’s XLVII Panzer Corps had a combined total of 3,800 men in their eight panzer grenadier regiments. Their progress was predictably limited. Orders were to leave anyone unable to march. For one of the few times in Wehrmacht history, something like a mutiny took place. Wounded who could be moved were loaded onto every available vehicle. With its seven tanks and three assault guns, Viking took the point and carried the retreat through the first Russian defenses. But III Panzer Corps was unable to fight its way to the designated meeting point and unable to contact the pocket by radio. Command and control were eroding even before the Germans entered a Russian combined-arms killing zone around dawn on February 16. For over four hours Russian tanks and cavalrymen chased fugitives through the ravines and across open ground. This was one of the few verifiable occasions where T-34s systematically ran over fleeing men. And the killing was likely both payback and pleasure. Around 36,000 men, including 7,500 wounded, eventually reached III Panzer Corps’s lines. Eighty-three hundred of them belonged to Viking and the Walloon SS brigade attached to it. Total casualties in the pocket amounted to around 20,000: no bagatelle, but a long way from Stalingrad. First Panzer Army’s loss of over 150 AFVs reflected its inability to move immobilized tanks and repair breakdowns, rather than any sudden forward leap in the effectiveness of Soviet armor. Nevertheless, though Goebbels’s propaganda machine described a great victory, the battle for the Cherkassy Pocket highlighted the continuing decline of Hitler’s panzers from a strategic and operational force to a tactical instrument. 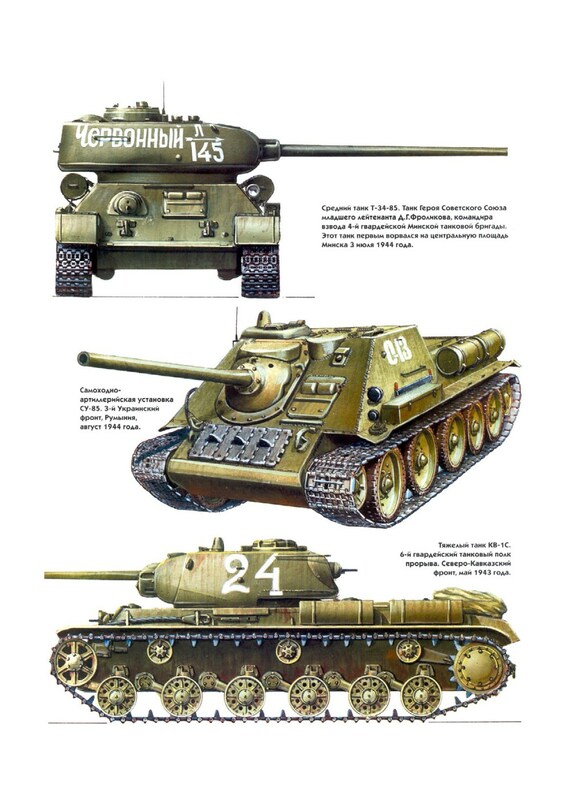 To maintain and restore even temporarily Army Group South’s sector of the Eastern Front in the months after Kursk had required the commitment of most of the army’s combat-ready armor. That commitment, moreover, was increasingly ad hoc. 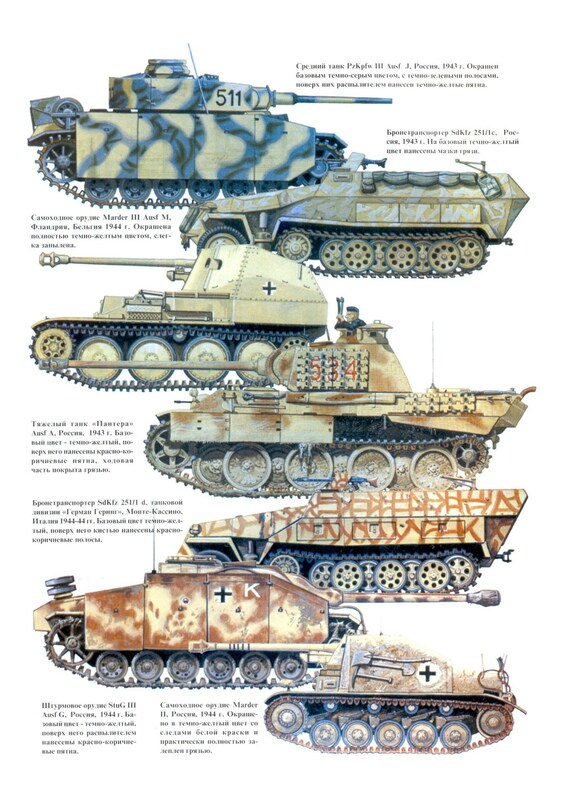 A “panzer division” in the German order of battle was increasingly likely to be on the ground with as many tanks as could be made operational combined in a single battalion; the mechanized panzer grenadier battalion and the reconnaissance battalion, both brought to something like table of organization strength by transfers from the remaining panzer grenadiers; the half-tracked pioneer company; and a few self-propelled guns. These remnants were repeatedly thrown in against odds of ten to one or higher without time to absorb replacements and work in new officers. They might bear famous names and numbers. They were not what they once were. But then the same could be said about an entire Reich approaching the point of unraveling. 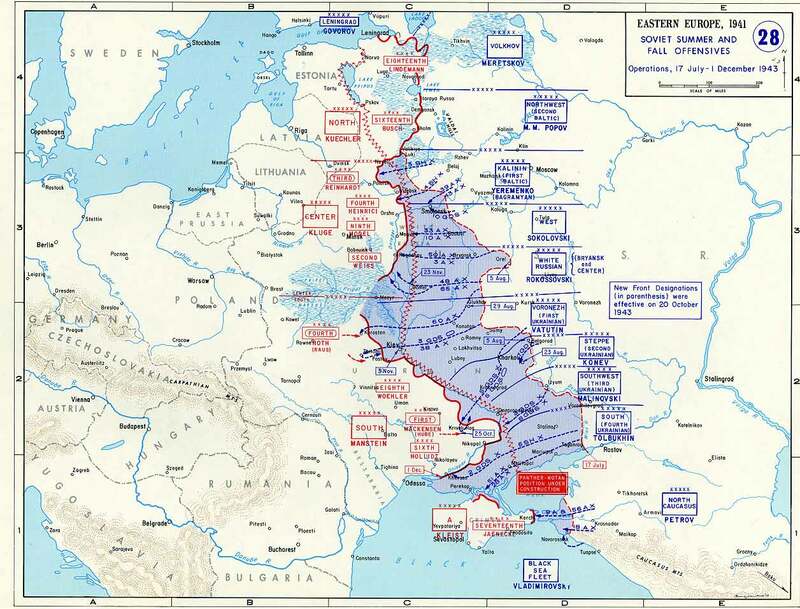 The tipping point on the Eastern Front was even more clearly indicated in March 1944. The Korsun-Cherkassy breakout enraged Stalin, but was not even a speed bump to the continuing Russian offensive. Zukhov had taken over, and his hands drove the spearheads that tore 50-mile gaps in the front, left 1st Panzer Army facing in the wrong direction, and created within days a pocket containing over 200,000 men, fighting soldiers, their rear echelons, and the detritus of an occupation. Twenty-two divisions were represented. One had only 600 men and not a single antitank gun, and that was all too typical. The isolated Germans counted 50 assault guns and 43 tanks, some of them unable to move for lack of fuel. One veteran spoke of “clean undershirt time,” when one looked for anything white enough to make a surrender flag. Hitler insisted on “holding what there is to hold.” Manstein informed Hitler that he intended to order a breakout on his own responsibility. Hitler temporized to show who was in charge, then agreed. Hube’s plan and its execution are still studied in war colleges. He had four corps headquarters, three of them panzer. He had elements of 10 panzer divisions—all the command elements he needed. The problem was how best to organize the operation. Given overall Russian superiority in the sector, conventional wisdom suggested a strong armored spearhead. The problem was that the tankers might move ahead too fast and too far, leaving the rest of the army to fend for itself—a polite euphemism for being overrun and destroyed. Instead Hube did the opposite. He organized the breakout in two parallel columns. Each had a vanguard of infantry supported by assault guns. The panzers formed the rear guard, in a position to move forward and support the advance forces when necessary. Hube commanded the breakout in person. He had kept his men active in the days of preparation, sublimating feelings of despair and panic. Straggling and desertion were minimal. Zukhov’s threat to shoot every third prisoner if the pocket did not capitulate by April 2 was not generally known, but would have surprised few. That the Soviet marshal later restricted proposed victims to senior officers was limited comfort to anyone aware of the concession. Hube originally wanted to break out to the south and head for Romania. Manstein insisted on a western direction despite the longer distance and the numerous river crossings it entailed. He had the senior rank and the final word. On March 27, 1st Panzer Army started west. It had the advantages of surprise; sluggish enemy reaction enabled the rear guard to close up to the main columns relatively unmolested. Hube kept his men closed up and moving. Improvised airstrips enabled the Luftwaffe to bring in fuel and ammunition and evacuate wounded—a major continuing boost to morale and a tribute to “Aunt Ju,” the Ju-52 transports that could land and take off from ground that was unusable by even the American Dakotas. On April 6, 1st Panzer’s spearheads made contact with elements of II SS Panzer Corps. A few days later its divisions were in action on a new defense line that held this time. Hube, awarded the Knight’s Cross with Diamonds, was killed in an air crash on his way to receive it. His death was at once irony and paradigm. Hans Hube had conducted an epic, indeed heroic operation—but in the wrong direction. First Panzer Army brought out its tanks and its wounded at a cost of 6,000 dead and missing. Its anabasis bought time, but to what purpose? “For slow exhaustion and grim retreat/For a wasted hope and a sure defeat.” The words of an American captured on Bataan in 1942 might well serve as an epigram—or an epitaph—for the saga of Army Group South in the endgame months of the Russo-German War. This entry was posted in Germany, Operations, Soviet by MSW. Bookmark the permalink.